Director Venkat Prabhu's latest release Masss Engira Massilamani released on May 29 and entered the 2nd week of its run, holding on to most of its shows. The final verdict on the film isn't clear yet, and movie buffs have been polarized in their opinions. Movie lovers are saying that Masss resembles scenes copied from the Hollywood movies The Frighteners and Hello Ghost. The film also seems to have triggered a war of sorts among the fans of Suriya, Ajith and Vijay, courtesy certain references to these actors and their films in the film. Though the director seems to have intended in good humour, fans of the actors seem to have taken it otherwise and has hence, triggered a major online war. A hashtag was also trending nationally yesterday night, in this regard. The director became agitated and requested the audience to keep calm. ‘Guys!! Please stop this hatred!! At the end of the day we all one family!! Entertainers!! 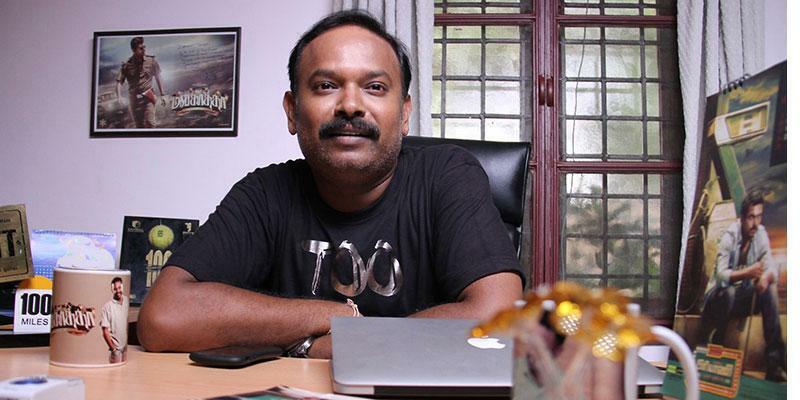 So leave this hatred and start enjoying cinema,’ posted Venkat Prabhu. His recently released venture ‘Masss’ is doing reasonably well at the box-office. ‘Masss’ is a thriller that laces touches of both fantasy and horror. This project marks the first collaboration between director Venkat Prabhu and hunky chunk Suriya. This project has an ensemble cast of Parthiban, Samuthirakani, Jayaram, Nayantara, Premgi Amaran, Karunaas, Sanjay Bharathi and many others.